The work in this lab aims to recognize events, scenes, activities, and emotions from audio data. 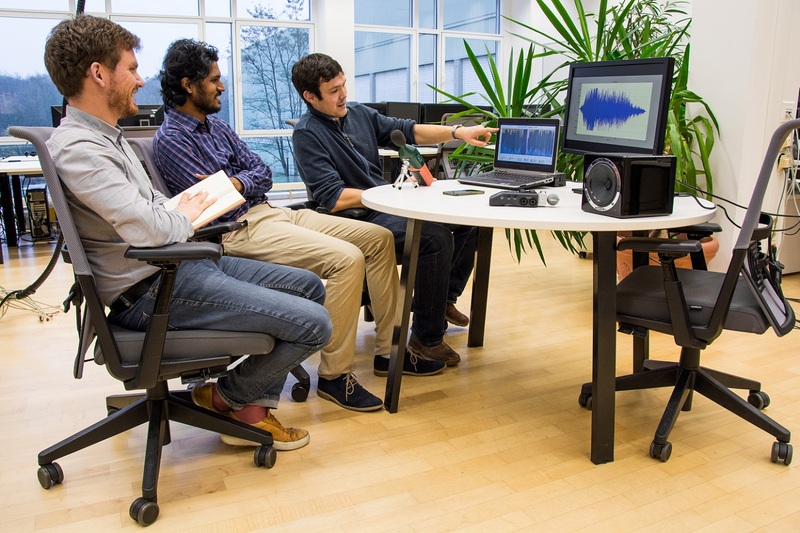 Audio Analytics is a research field that aspires to analyze acoustic signals. Depending on the application field, the analysis can be concentrated on tasks such as event detection, speaker recognition, or localization. At AGT’s audio analytics lab we are focusing on building a comprehensive understanding of the acoustic world around us by mapping the signal from microphones to descriptive information of entities such as individual humans, groups of humans, or the environment. This extracted information includes sound events, activities, emotions, and more complex scene understanding.